A few months back Joe and I went to Krakow for the very first time – check out my travel guide and vlog here! While we were over there I tasted my first ever Polish Martini and it was absolutely delicious. 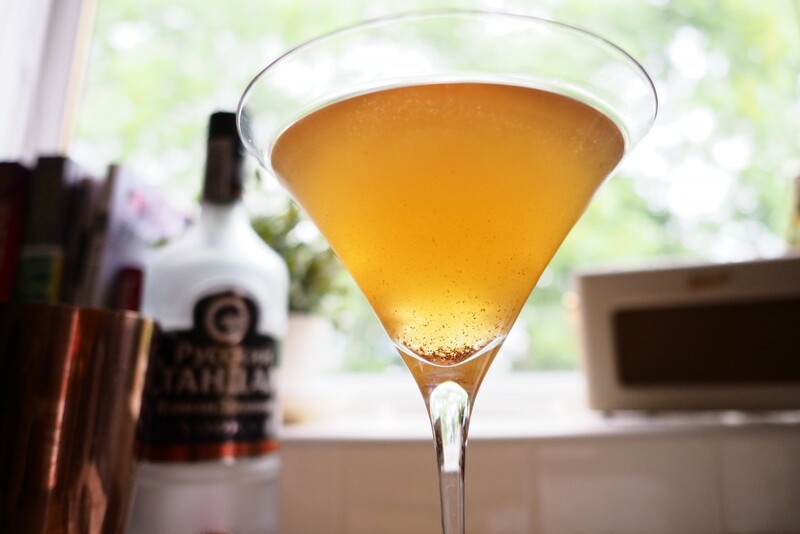 For weeks after I was thinking about that cocktail and how I could tweak it to create a new one – and so the Apple Pie Martini was born! If you like apple pie you’re going to love this one, and I’ve made it two ways so depending on what you have in your cupboard you shouldn’t need anything fancy to make it! 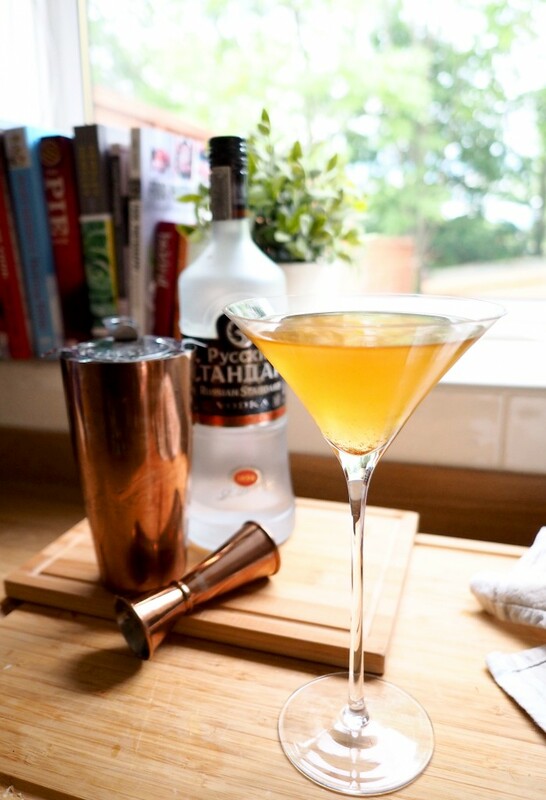 Double strain into your martini glass through the muslin cloth to remove most of the cinnamon. If you don’t have a cloth you can use kitchen roll and make sure to gently squeeze your cloth/towel into the glass once drained through so as not to waste any of the good stuff! Garnish with a slice of apple if you’re feeling fancy and don’t worry if a few bits of cinnamon slip through – it leaves a lovely vanilla bean effect and tastes great! It tastes just like apple pie – sweet and fruity with a warm cinnamon chaser, delicious! 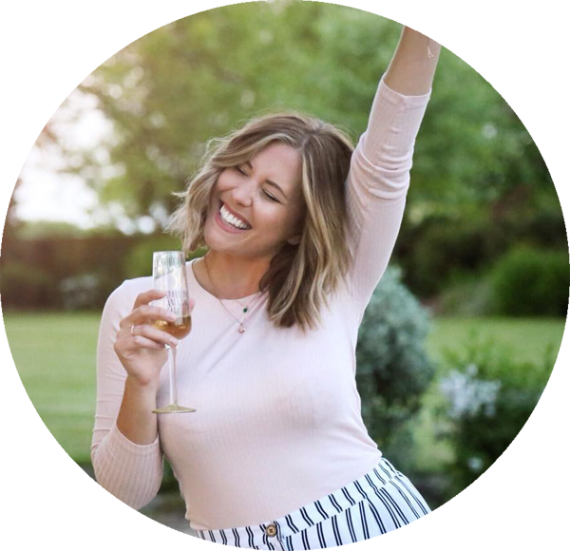 If you wanted to make it a bit more boozy why not swap the runny honey for a honey liqueur – have a play around with the measurements for your level of sweetness! 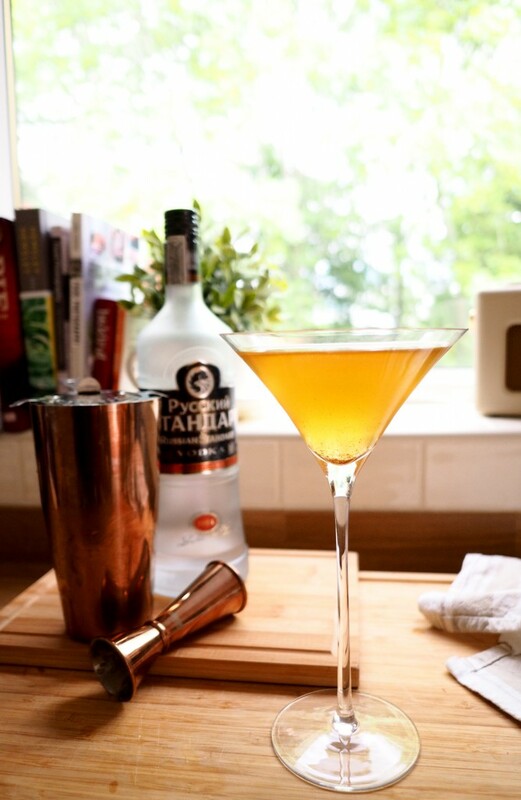 Don’t forget to tweet me a picture @xameliax if you give my Apple Pie Martini a go!